Out highway 36 in the community of Triangle Lake, just West of Junction City, Oregon, has been in turmoil for the last four years. 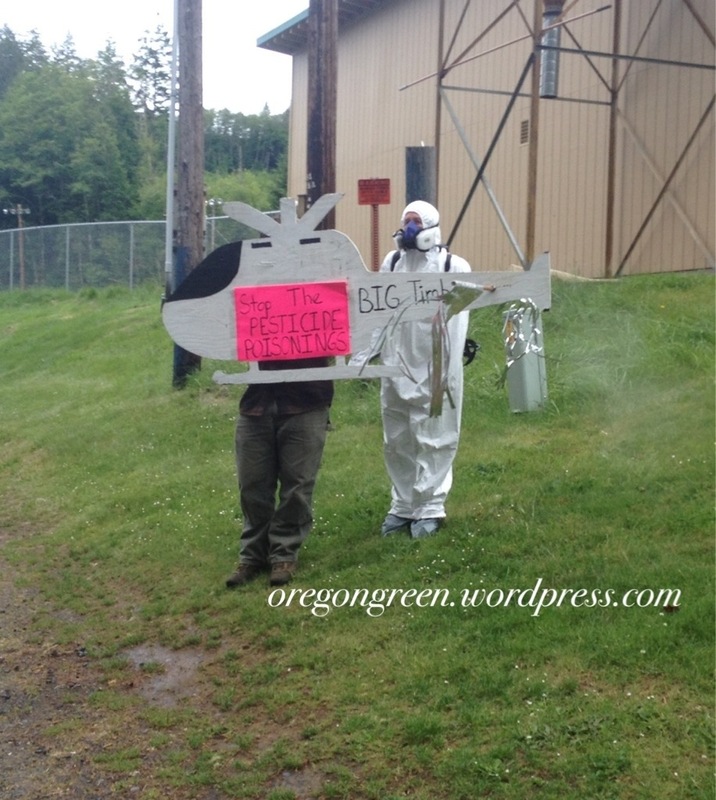 In early 2010, a group in the area known as the “Pitchfork Rebellion” made accusations that they were being exposed to toxic levels of chemicals by aerial applicators. The area is heavily forested and has quite a bit of commercial timberland. 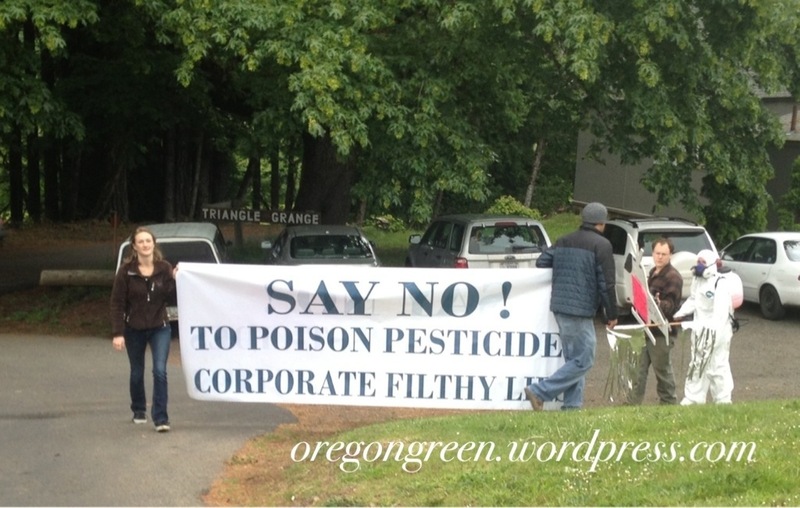 The group claimed when the trees were sprayed they were getting sick. The Pitchfork Rebellion took it upon themselves to have their urine analyzed. They took their own samples and sent it off to a lab. The results came back at somewhat high levels of 2,4D and Atrazine. Oregon’s Pesticide Analytical Response Center (PARC) opened an investigation, which the Oregon Health Authority (OHA) is co-chair of and headed the Exposure Investigation. Participating agencies in PARC include: OHA, the Agency for Toxic Substances and Disease Registry (ATSDR), the U.S. Environmental Protection Agency (EPA), ODF, Oregon Department of Agriculture (ODA), Oregon Department of Environmental Quality (DEQ) and consultants from the Oregon State University (OSU) and Oregon Health & Sciences University (OHSU). In late summer to early fall of 2011 the investigators were on the ground in the West Lane County community. They took urine samples from several community members as well as water, soil & homegrown food. Finally in May 2013 the OHA released its Public Health Assessment on the exposure investigation. I attended on May 28th a community meeting to review the results of the investigation. The meeting was quite interesting and the community open forum part of the meeting was intense and rather hostile at times. Watch on YouTube HERE, at 1:40 the open forum starts. The results showed that there was some exposure of 2, 4D and atrazine however, not at levels concern and not different from the general U.S. population. No levels of toxicity were detected. The oddest part of the “study” though was that they included the self-collected data from the Pitchfork Rebellion. They had no way of knowing what methods or protocol the group followed in collecting samples. The self-collected samples ironically contained the highest levels of pesticides in the urine. They compared the sample-collected dates to the spray date records in the area. Out of 13 urine samples with pesticides and there had been no pesticides applied in that time frame of data collection. As the lead OHA investigator said it is a “real head scratcher” . As of this moment there is a public comment period on the report. It is open until August 9th. The long-time members of the community are asking for the investigation to end since the it has indicated there is no risk from aerial spraying. However the Pitchfork Rebellion is asking for more samples taken, including air samples. They are demanding a moratorium on aerial spraying until the study is completed. I would encourage all members of Oregon Women for Agriculture to visit the Oregon Healthy Authority’s site. Read the full report and please send your comments to OHA by August 9th. The community of Triangle Lake and our friends in forestry need our support. One group making wild accusations towards farmers & foresters in a somewhat remote part of Oregon does not mean it is an isolated or one time event. It could be yours or my community next. We must protect our right to Farm & Forest.